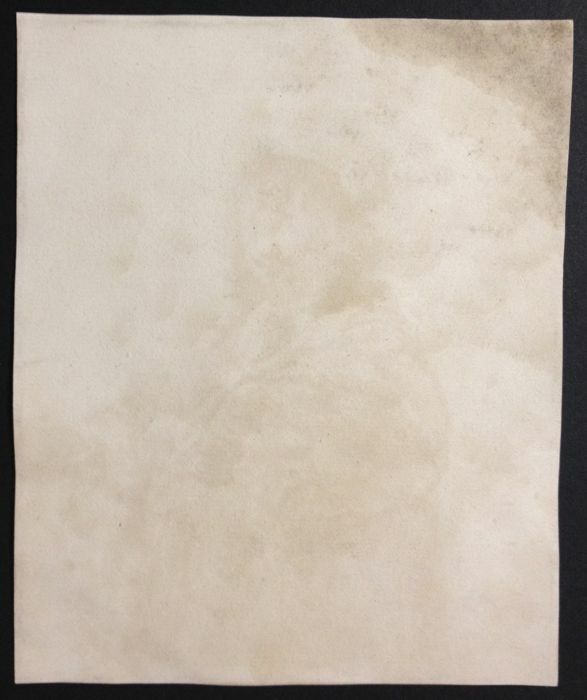 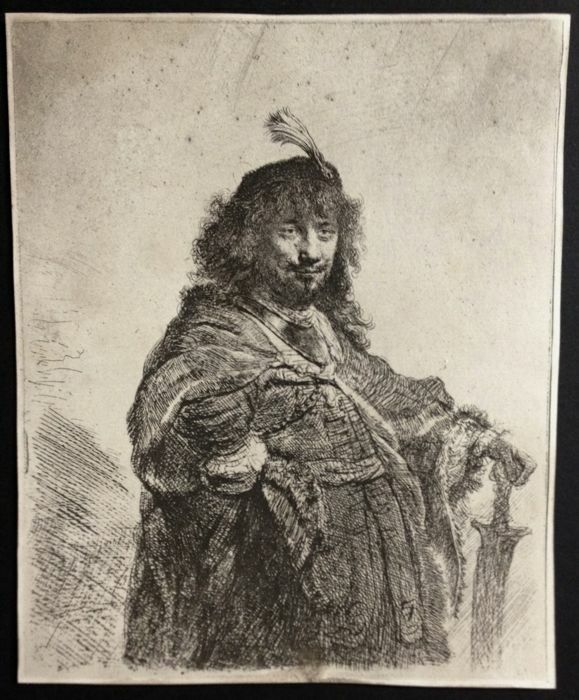 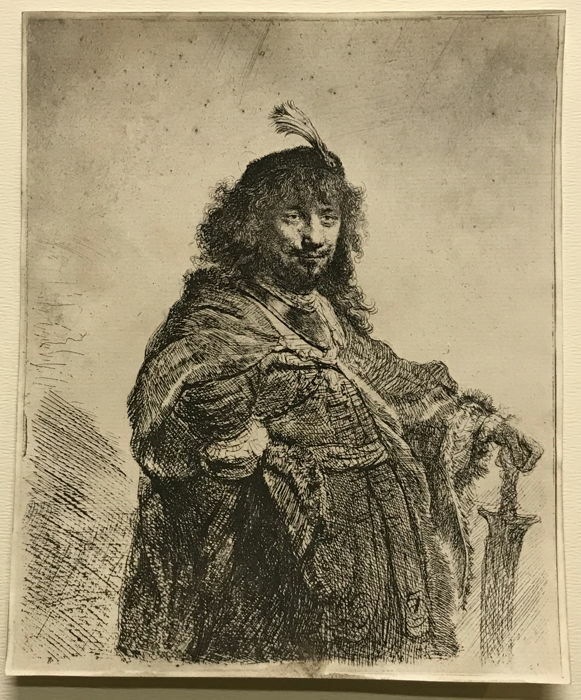 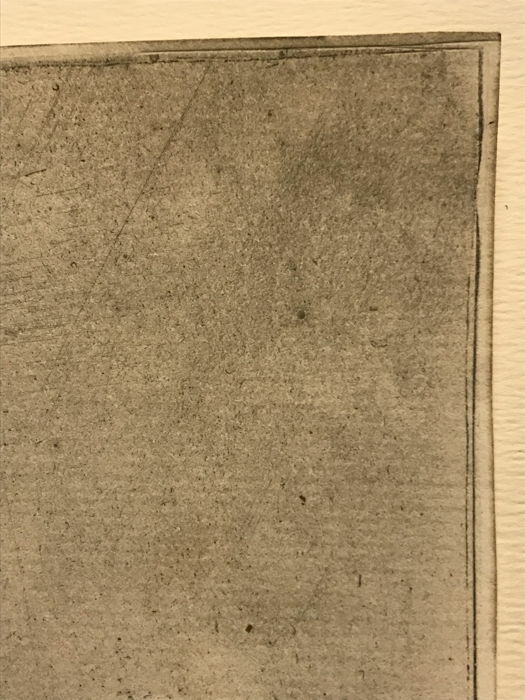 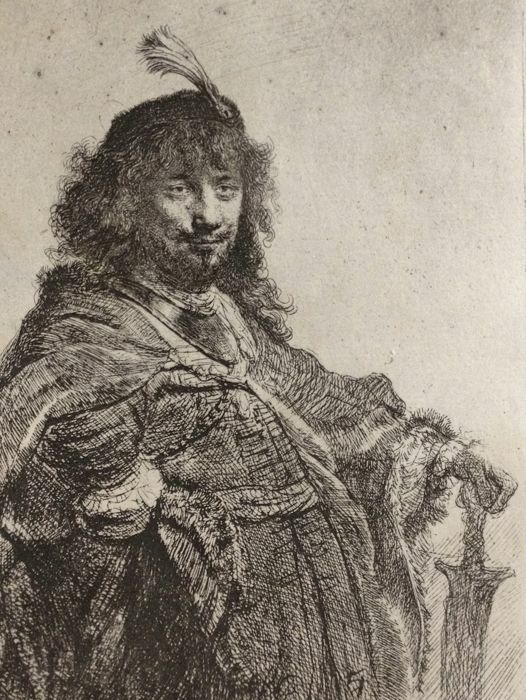 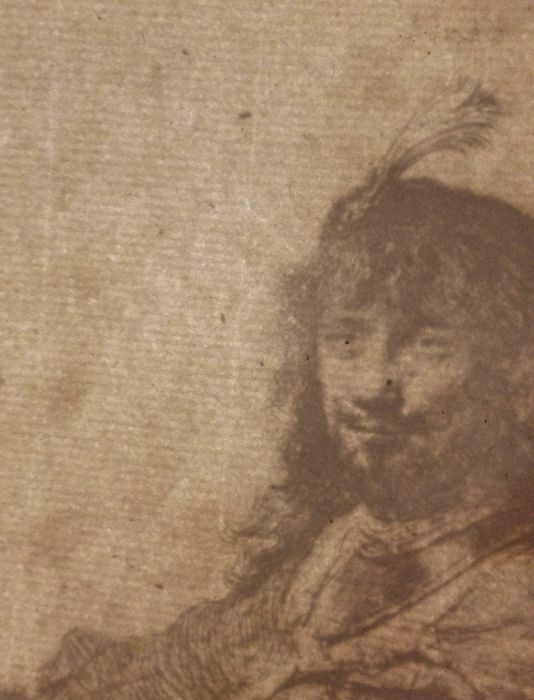 Rembrandt Harmensz van Rijn (1606 - 1669) - "Autoritratto con cappuccio piumato e sciabola abbassata"
"Autoritratto con cappuccio piumato e sciabola abbassata"
Excellent etching and drypoint on laid paper, preserved in very good condition, from the 18th-19th century, with small margins beyond the copper print. 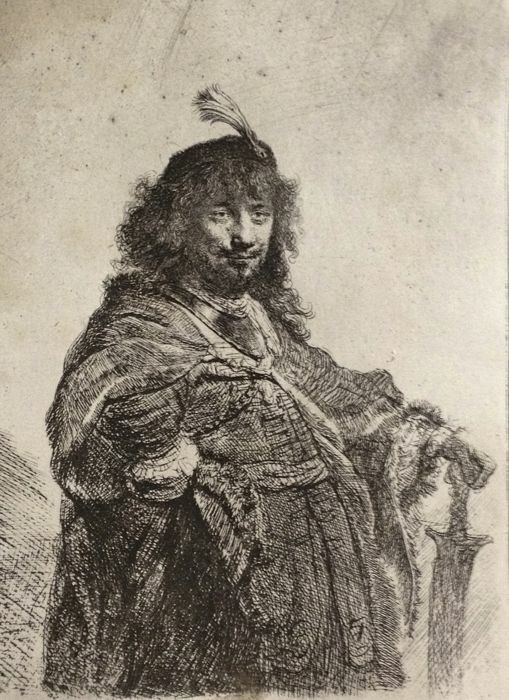 ‘Autoritratto con cappuccio piumato e sciabola abbassata’ published in 1634 by the master which shows himself with good-natured expression in his favourite oriental disguise, with a feathered hat and fur coat, leaning against the sword with a royal pose. 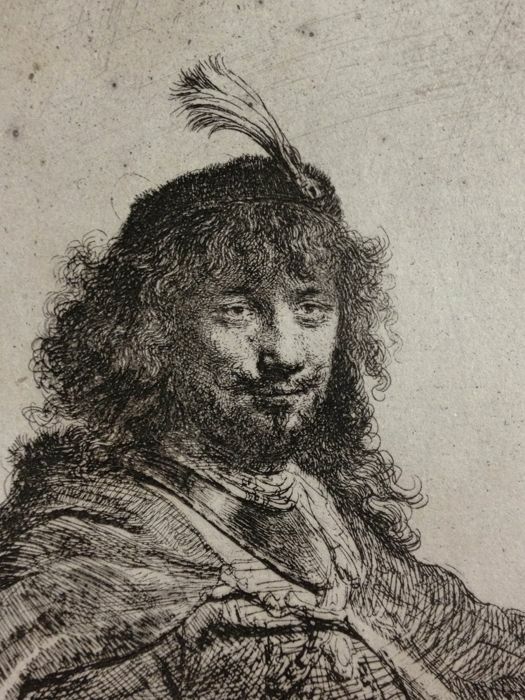 Beautiful is the drypoint line that makes the scene soft in the face and hair.